Yingwei Fei and his colleagues had spent a month carefully crafting the three slivers of dense silicate—shiny and round, each sample was less than a millimetre thick. But in early November, it was time to say goodbye. Fei carefully packed the samples, plus a few back-ups, in foam and shipped them from Washington DC to Albuquerque, New Mexico. There, the Z Pulsed Power Facility at Sandia National Laboratories will soon send 26 million amps surging towards the slivers, zapping them, one by one, into dust. The Z machine can replicate the extreme conditions inside detonating nuclear weapons. But Fei, a high-pressure experimental geologist at the Carnegie Institution for Science’s Geophysical Laboratory in Washington DC, has a more otherworldly goal in mind: he hopes to explore how bridgmanite, a mineral found deep beneath Earth’s surface, would behave at the higher temperatures and pressures found inside larger rocky planets beyond the Solar System. The experiment is one small contribution to exogeology: a research area that is bringing astronomers, planetary scientists and geologists together to explore what exoplanets might look like, geologically speaking. For many scientists, exogeology is a natural extension of the quest to identify worlds that could support life. Already, astronomers have discovered thousands of exoplanets and collected some of their vital statistics, including their masses and radii. Those that orbit in the habitable, or ‘Goldilocks’, zone—a region around the host star that is temperate enough for water to exist in liquid form—are thought to be particularly life-friendly. 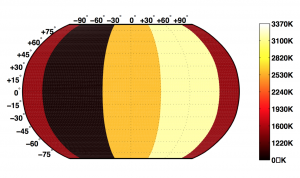 Researchers are using simulations and experiments, such as Fei’s at the Z machine, to learn what kinds of exoplanet might have Earth-like geology. The work could help researchers prioritize which exoplanets to study. But the field faces several challenges, not least that mystery still surrounds much of Earth’s geology—such as how and when tectonic activity first began. “It’s a fundamental discovery that changed geology,” says Richard Carlson, a geochemist at the Carnegie Institution. “But we still don’t know why it works the way it does.” What’s more, confirming that an exoplanet actually boasts Earth-like geology could be difficult; astronomers rarely observe these planets directly, and if they do, the planet might be the size of a single pixel in their image. One of the most exciting targets of exoplanetary science has been super-Earths. These rocky planets—with as many as ten times Earth’s mass—have no parallel in the Solar System. But they are now known to be quite common in the Galaxy and, because many are fairly big, they could make easier targets for detailed observation than Earth-sized planets. Early studies of super-Earth geology, published about ten years ago, examined what these planets would look like if they were simply scaled-up versions of Earth. But the scorching-hot planet 55 Cancri e, first spotted in 2004, underscored the idea that super-Earths could be quite different. Observations in 2011 revealed the planet to have roughly twice Earth’s radius and a little more than eight times its mass, yielding an average density only marginally higher than Earth’s—and that presented a conundrum. If 55 Cancri e had an iron core and silicate mantle, like Earth, it should be more massive given its size. An ocean wrapped around the whole planet would bring 55 Cancri e’s density down to Earth-like levels. But the planet is too hot for water to survive for long; it orbits so close to its host star that the day-side temperature is roughly 2,500 kelvin. A resolution came in 2012, when Nikku Madhusudhan, an astronomer then at Yale University in New Haven, Connecticut, and his colleagues decided to take a fresh approach. Previous research had suggested that the planet’s host star has a much higher ratio of carbon to oxygen than the Sun. Stars and their planets are built from the same swirling disk of dust and gas, so it seemed fair to assume that 55 Cancri e would also be carbon-rich. When Madhusudhan accounted for this carbon in his model of the planet’s interior, it produced a match with the mass and radius of the world. “That was a revelation,” says Madhusudhan, now at the University of Cambridge, UK. And such a world would be truly alien. Madhusudhan suspects that its crust could be dominated by graphite; inside the planet, the pressure would probably crush vast amounts of the element into diamond. “It would look pretty radical compared with what we see in the Solar System,” he says. 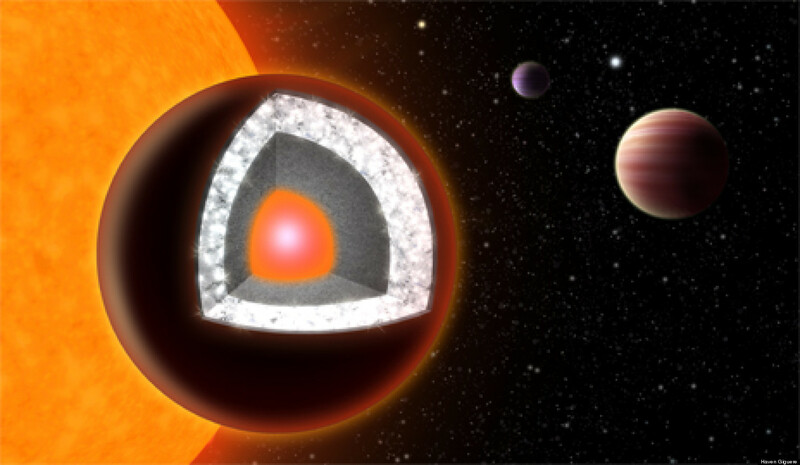 A planet made of diamond would fire up the imagination, although 55 Cancri e’s host star might not actually contain as much carbon as thought. Even if it did, astronomers caution against assuming that a planet’s composition matches that of its host star. Seager notes that this idea wouldn’t account well for the variety of planets in the Solar System. “At this point, it’s a reasonable inference, but I think it’s important to realize that it’s not iron-clad,” says Gregory Laughlin, an astronomer at Yale. Exogeologists have embraced this uncertainty, and are trying their best to pin down how distant worlds form and evolve. To get from a list of starting elements to geology, scientists need to know what minerals form, when they melt and how their density changes with pressure and temperature. Those data can be used to simulate how a planet develops from an undifferentiated, molten ball into a layered structure, with minerals forming—and sinking or floating—as the planet cools. “We can build up a mineralogical, let’s say, onion-skin model of what the planet would look like initially,” says Wim van Westrenen, a geologist at the Free University of Amsterdam. Then, he says, researchers can use numerical models to predict how that planet will evolve and whether the migration of materials will be enough to drive plate tectonics. To gather information to feed these models, geologists are starting to subject synthetic rocks to high temperatures and pressures to replicate an exoplanet’s innards—as Fei and his colleagues are doing. Although the goal of these experiments is new, the approach is not. For decades, experimental petrologists have built instruments to simulate the conditions of Earth’s interior, anywhere from a few centimetres below the surface to Earth’s core. Many use a device called a diamond anvil cell. This apparatus squeezes materials by pushing the blunted tips of two gem-quality diamonds together. While a sample is under pressure, a laser can be used to heat it. At the same time, experimentalists can bombard the mat­erial with X-rays to investigate its crystalline structure and explore how the material changes as it is pushed to high temperatures and pressures. Groups including Sang-Heon Dan Shim, a mineral physicist at Arizona State University, and his colleagues have used this process to squeeze carbon-rich samples that might reflect the composition of 55 Cancri e. The work has revealed how planets dominated by carbon-containing compounds called carbides might transport heat, and how they might differ from planets that, like Earth, are dominated by silicates. Carbon is not the only element of interest. Unterborn points to magnesium, silicon and iron as “the big three” that will affect a planet’s bulk structure, influencing how heat flows in the mantle and the relative size of the planet’s core—and so the presence of plate tectonics and a global magnetic field, respectively. Ratios of these elements vary widely in stars. The Sun has one magnesium atom for every silicon atom; in other stars, that ratio ranges from 0.5 to 2. The difference might seem small, but if the same ratios are present in planets, they could drastically affect geology. Most textbooks argue that magnesium-rich rocks would be softer than those containing high concentrations of silicon—so much so that walking on a magnesium-rich world might feel like walking on mud. Shim’s diamond-anvil-cell work on rocks with various magnesium-to-silicon ratios suggests these worlds could also boast deeper reservoirs of magma than a silicon-rich planet and, as a result, more catastrophic volcanoes. But Shim notes that other parameters, such as the concentration of water in minerals, must also be taken into account. With two diamonds, Shim can apply no more than 400 gigapascals of pressure, a little higher than the pressure in Earth’s core. To probe the interiors of super-Earths, he has turned to the world’s brightest X-ray laser: the Linac Coherent Light Source at SLAC National Accelerator Laboratory in Menlo Park, California. The instrument can generate shocks inside the sample, producing pressures as high as 600 giga­pascals—enough to simulate the cores of planets twice as massive as Earth. Geologists are also using other large facilities to probe potential exoplanet formulations. The Z machine can reach 1,000 gigapascals—the condition expected inside planets nearly three times Earth’s mass. 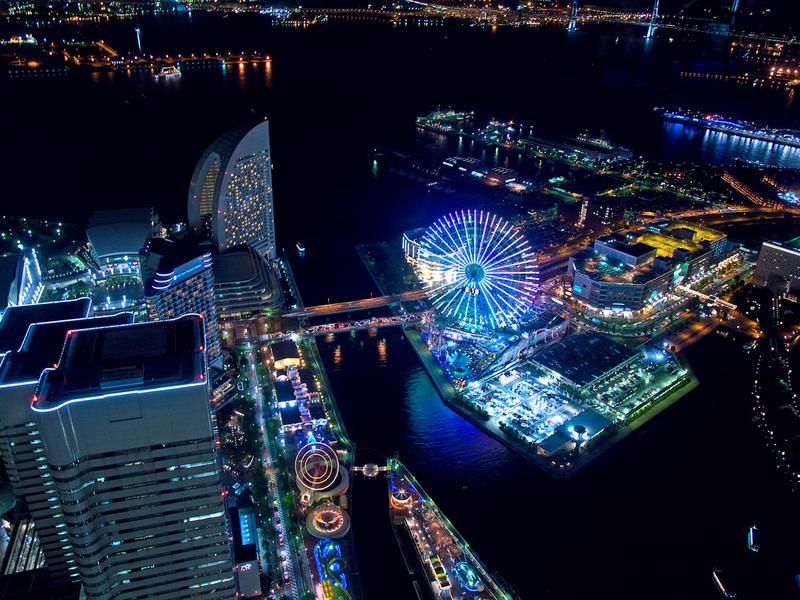 Laser facilities in Palaiseau, France, and Osaka, Japan, can reach a similar range. And some researchers have turned to the National Ignition Facility at Lawrence Liver­more National Laboratory in California, which is used to study nuclear fusion and can subject samples to as much as 5,000 giga­pascals, the pressure of Jupiter’s deep interior. These experiments are still in their preliminary stages, as researchers compete for time at these facilities and slowly accumulate data on a variety of basic compounds. The answer might not be clear-cut. Even perfect knowledge of composition might not tell exogeologists much about the state of a planet. Earth, for example, did not host plate tectonics in its early history, and it is not expected to do so forever. And its neighbour Venus shows how widely planetary evolution can diverge. The planet’s mass, radius, composition and distance from the Sun are similar to those of Earth. But Earth supports life, whereas Venus, swaddled in a haze of carbon dioxide, is quite dead. Stephen Mojzsis, a geologist at the University of Colorado Boulder, suspects that the loss of plate tectonics on Earth will eventually cause it to resemble its super-heated sibling. “It’s inevitable,” he says. “We’re just not sure when that will happen.” So, although most early exoplanet models are focusing on composition, exogeologists might ultimately have to include additional factors such as billions of years of planetary evolution. Some expect that this work will help astronomers determine which planets to target in the search for life. If scientists know the conditions needed to sustain a magnetic field for billions of years, or the proportions of elements required to drive convection in the mantle, they could advise their colleagues to scrutinize the worlds that meet those criteria. Then astronomers could turn powerful telescopes, such as NASA’s James Webb Space Telescope, slated to launch in 2019, towards those planets to search their atmospheres for potential signatures of alien life. It might also be possible to spot geological activity from a distance. A transient spike in atmospheric sulfur, for example, might be indirect evidence of the presence of an active volcano. Changes in reflectivity as a planet rotates might hint at the presence of continents and oceans, which could also suggest tectonic activity. Already, there has been talk of a possible detection of volcanic activity—on 55 Cancri e.
In 2016, Brice-Olivier Demory, an astronomer at the University of Bern, and his colleagues published the first heat map of the planet, created using NASA’s infrared Spitzer Space Telescope. The planet is tidally locked to its star, so one hemisphere is eternally bathed in sunlight and the other is dark. The planet should be hottest closest to the star, but Demory and his colleagues discovered that the hottest point seems to be offset. They posited that flowing lava is carrying heat away (although more recent work has argued that winds might be responsible instead). It’s clear that 55 Cancri e is no place for life. But other worlds may be much more inviting. Earlier this year, Unterborn completed a study that looked at more than 1,000 Sun-like stars. Using their compositions, he determined that one-third of those stars could host planets whose crust was dense enough to sink into the mantle—a process that might let plate tectonics thrive for billions of years. Authors: Brice-Olivier Demory, Michael Gillon, Julien de Wit et al. There is a scene from Toy Story where Buzz gets stuck in the toy machine with a bunch of green little aliens. When the aliens see the claw from the toy dispenser appear they all stare up at it and gasp “The Claw!!! !” When it comes to super-Earths, exoplanet scientists are the little green aliens gasping in amazement, confusion and admiration at some very confusing and unidentifiable object up above. This is why the subject of today’s astrobite, 55 Cancri e, has already been the subject of six other bites! And even though there have been previous observation of this exoplanet, just like the claw, we still do not have a clear handle on what exactly it is. And it’s hot! Really hot!!! Figure 1. Top panel: Image credit: Josh Winn. 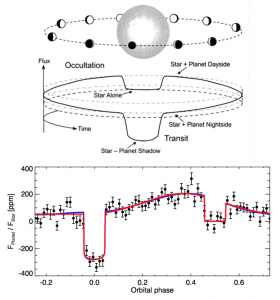 Phases of a close in tidally locked exoplanet transiting its host star. Bottom panel: New phase curve of 55 Cnc e (Fig.1 of this paper) observed using 75 hours of the Spitzer Space Telescope Infrared Array Camera. …using the 4.5 micron channel of the Spitzer Space Telescope Infrared Array Camera. During those 75 hours of observation the brightness of the planet-star system was continuously monitored. As the picture to the right shows, when the planet orbits around its parent star we get a glimpse of it at several different phases. This technique, aptly called phase curves, results in longitudinal mapping of the planet’s temperature. With these observations they were able to gain insights into how heat is distributed from the dayside of the planet to the night side (seen in Figure 2 below), which is interesting because this planet is tidally locked. Tidally locked planets always have the same side facing their parent star. Intuitively, you might imagine that the hottest point on a tidally locked planet would be at the direct center of the dayside of the planet, called the substellar point. The authors find that the hot spot is actually located 41 degrees east of this point. Additionally, they find that the temperature of the dayside is 2697 K, while the temperature of the nightside is only 1379 K. This is equivalent to you having a perfect 70 degree F day somewhere in the United States but your colleague on the other side of the world sweltering at 2,441 degree F.
Figure 2. The longitudinal heat map of 55 Cnc e, showing large dayside-nightside temperature differences. This indicates no atmospheric circulation on this planet. Also note the hottest region is about 40 degrees east of the substellar point. In order to maintain this strong day-night temperature difference it means that there is a strong lack of atmospheric circulation. No energy is being transferred from the dayside of the planet, to the nightside. There are two components that govern whether or not atmospheric circulation will take place: the radiative timescale and the advective timescale. The radiative timescale is the time it takes for any absorbed stellar energy to be readmitted as radiation. The advective timescale is the time it takes for that same stellar energy to be circulated around the planet. Seems simple. If the radiative timescale is much shorter than the advective timescale, circulation won’t occur because all the energy will be readmitted before it can get anywhere else, Likewise, if the adventive timescale is relatively small, the temperature should be uniform throughout the planet. The observations of 55 Cnc e suggest the radiative timescale is much smaller than the advective timescale. This is puzzling because atmospheric models of this planet’s size, mass, and temperature suggest the opposite should be true due to a lack of hydrogen. One possible explanation for a small radiative timescale is that 55 Cnc e has an atmosphere with a high-mean molecular weight (lot’s of water or carbon dioxide). But, at 4.5 microns (the location of the observation), water and carbon dioxide are both absorbing radiation. This means that the atmosphere becomes optically thick higher up in elevation and the observer ends up seeing the cooler upper region of the atmosphere. If water and carbon dioxide were absent, we’d be free to see down to the hotter surface of the planet. Alternatively, 55 Cnc e could just be completely devoid of an atmosphere all together. To make matters worse, I said previously that the hot spot was located 41 degrees east of the substellar point. But, if heat is not being transported to the night side, how then is the hottest point of the planet off axis? This requires transport of heat! One potential explanation for this is there is lava flowing at the surface of the planet. 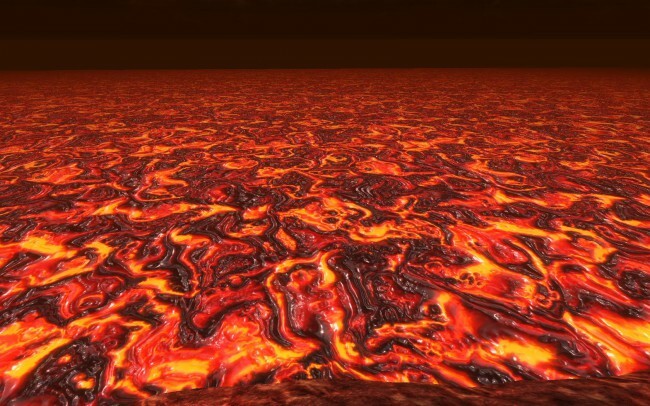 Molten lava on a planet this hot would flow on the surface like water down a stream. Now it’s that time where I have to tell the reader that there is still no definitive explanation for what is going on in the atmosphere of this planet. But this is actually the best part. All of this incredible work has been done with a spacecraft that was proposed before we even knew exoplanets existed. Spitzer (and Hubble) were not designed to characterize exoplanet atmospheres and yet so many interesting observations, ideas and theories have come out of these two missions. We are creating a solid foundation of astrophysical questions that need to be addressed with the launching/building of the next generation of space and ground based telescopes. The community has a lot to look forward to. A lot of interesting science lies just beyond the horizon. For the first time astronomers were able to analyse the atmosphere of an exoplanet in the class known as super-Earths. Using data gathered with the NASA/ESA Hubble Space Telescope and new analysis techniques, the exoplanet 55 Cancri e is revealed to have a dry atmosphere without any indications of water vapour. The results, to be published in the Astrophysical Journal, indicate that the atmosphere consists mainly of hydrogen and helium. 55 Cancri e compared to earth, 8 earth masses. The international team, led by scientists from University College London (UCL) in the UK, took observations of the nearby exoplanet 55 Cancri e, a super-Earth with a mass of eight Earth-masses . It is located in the planetary system of 55 Cancri, a star about 40 light-years from Earth. Using observations made with the Wide Field Camera 3 (WFC3) on board the NASA/ESA Hubble Space Telescope, the scientists were able to analyse the atmosphere of this exoplanet. This makes it the first detection of gases in the atmosphere of a super-Earth. The results allowed the team to examine the atmosphere of 55 Cancri e in detail and revealed the presence of hydrogen and helium, but no water vapour. These results were only made possible by exploiting a newly-developed processing technique. Super-Earths like 55 Cancri e are thought to be the most common type of planet in our galaxy. They acquired the name ‘super-Earth’ because they have a mass larger than that of the Earth but are still much smaller than the gas giants in the Solar System. The WFC3 instrument on Hubble has already been used to probe the atmospheres of two other super-Earths, but no spectral features were found in those previous studies . 55 Cancri e, however, is an unusual super-Earth as it orbits very close to its parent star. A year on the exoplanet lasts for only 18 hours and temperatures on the surface are thought to reach around 2000 degrees Celsius. Because the exoplanet is orbiting its bright parent star at such a small distance, the team was able to use new analysis techniques to extract information about the planet, during its transits in front of the host star. Observations were made by scanning the WFC3 very quickly across the star to create a number of spectra. By combining these observations and processing them through analytic software, the researchers were able to retrieve the spectrum of 55 Cancri e embedded in the light of its parent star. “This result gives a first insight into the atmosphere of a super-Earth. We now have clues as to what the planet is currently like and how it might have formed and evolved, and this has important implications for 55 Cancri e and other super-Earths,” said Giovanna Tinetti, also from UCL, UK. Intriguingly, the data also contain hints of the presence of hydrogen cyanide, a marker for carbon-rich atmospheres. “Such an amount of hydrogen cyanide would indicate an atmosphere with a very high ratio of carbon to oxygen,” said Olivia Venot, KU Leuven, who developed an atmospheric chemical model of 55 Cancri e that supported the analysis of the observations. 55 Cancri e has previously been dubbed the “diamond planet” because models based on its mass and radius have led to the idea that its interior is carbon-rich. Hubble observed the super-Earths GJ1214b and HD97658b in 2014, using the transit method. The observations did not show any spectral features, indicating an atmosphere covered by thick clouds made of molecular species much heavier than hydrogen. The results were summarized by Tsiaras et al. in the paper Detection of an atmosphere around the super-Earth 55 Cancri e which is going to be published in the Astrophysical Journal. The team of astronomers in this study consists of A. Tsiaras (UCL, UK), M. Rocchetto (UCL, UK), I. P. Waldmann (UCL, UK), O. Venot (Katholieke Universiteit Leuven, Belgium), R. Varley (UCL, UK), G. Morello (UCL, UK), G. Tinetti (UCL, UK), E. J. Barton (UCL, UK), S. N. Yurchenko (UCL, UK), J. Tennyson (UCL, UK).